As we grow older, the need for caffeine gets stronger (especially so after entering the workforce). I need at least 1 or 2 coffee now to tide me through the day, and I’ll feel very uneasy without one. Yes, I’m hooked to caffeine and that explains why I’m writing this article. 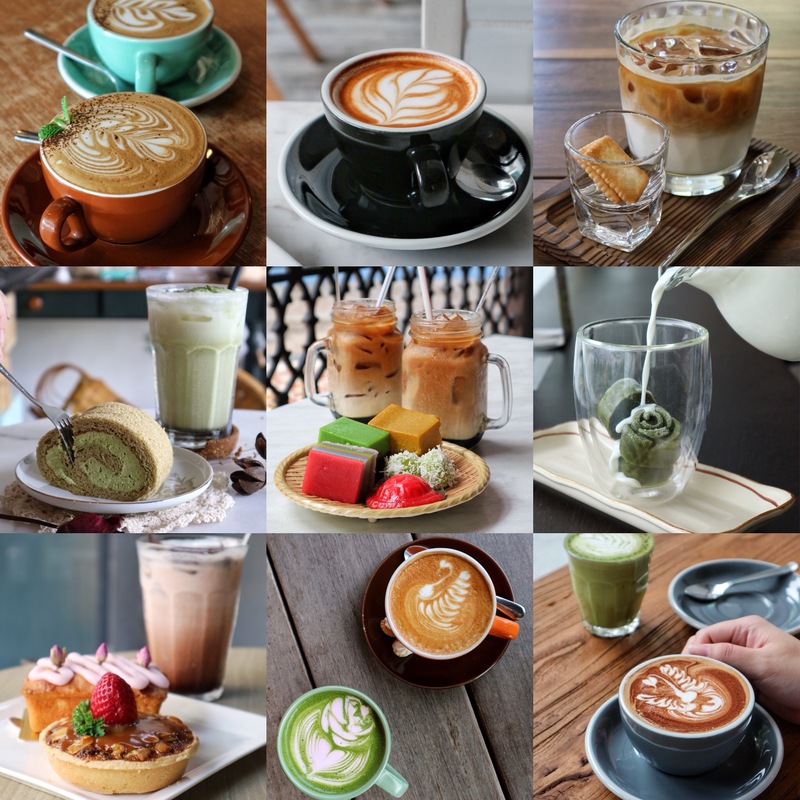 Singapore is home to several cosy cafe that serves really nice coffee and I’ve compiled 9 of my favourite places to get my caffeine sorted out as well as to spend some quality alone time. I can sit in these cafes all day long with a cup of coffee and my laptop. If you’re looking for a place to do some work, some of these cafes even offer FREE WiFi! How awesome is that? P/s: They are written in no particular order (cos it’s so hard to pick a favourite out of the favourites) and this is NOT a SPONSORED post! If you’re lucky enough, you can spot me working/taking a break at these 9 cafes. When my office was still in Clarke Quay (Central), I’ll always walk to Chinatown for their Hazelnut Latte. If you still haven’t heard about them, ShanCha is a cosy cafe that offers authentic Taiwanese dishes (their signature Lu Rou Fan) as well as fine teas and coffees. This is a great place for meeting too (had several meetings over here)! Coffee has a balanced hazelnut aroma and it is not too sweet. Loving the cheese biscuits that comes with the coffee! Located underneath the HDB estate, Tolido’s Espresso Nook is a very popular cafe among the young and the old (they have a huge Facebook following). Cafe is beautifully-decorated and they offer a myriad of classic breakfast and pastas (laksa pasta is the best). Also, they have an extensive selection of beverages (iced and cold, all good). Their coffee section is really interesting! The combination surprisingly work. Orange aroma was really subtle and it definitely enhanced the flavour of the coffee. Try it to know how good it is! Oh yes, remember to get their signature Pandan Pancakes to go with your coffee. Super shiok! This was my recent find at Orchard and you know what, I fell in love with the space, food and coffee. Dulukala at Island is known for its affordable Western and Peranakan food (despite being in town). Oh yes, they serve really nice Traditional Nonya Kuehs which paired so well with latte! If you’re looking for a great OOTD spot, this is one place you need to check out as well! Coffee was clean, smooth and consistent. Remember to get some nostalgic Nonya kuehs to go with the coffee! This is a hidden gem (unless you are a bookworm) within National Library. Another place that I’ll always get my MATCHA LATTE cravings fixed. Also, their matcha latte is one of the prettiest I’ve seen. They are served in rose shapes! P/s: They have FREE WiFi in the cafe. Isn’t it the prettiest Green Tea Latte that you’ve come across? Pour the milk and wait for the rose-shaped cubes to dissolve. Green Tea was really rich and it was not overly sweet. I’ll always order this whenever I pay OTC a visit! If you are residing in Punggol or Sengkang, you should, no MUST be very familiar with the family-friendly cafe – Whisk & Paddle. Because this is so near my home, I’ll always have a coffee here during the weekend. Cafe is really spacious and the view is great. Also, they have a huge selection of Western food. Awesome place to chill and watch the world go by! Spot the amazing art on their coffees. Definitely INSTAGRAM-WORTHY! A new cafe that has recently gained massive attention for their beautiful space and nice coffee. Behind the same team as Stranger’s Reunion, Wakey Wakey (which I have shared previously on my blog) is a gorgeous and relaxing cafe that you won’t mind spending the whole day just chilling inside it. I’ve heard that they have also recently rolled out their mains which I have yet to try. I guess it’s time to visit them this weekend! Another great place for you to take OOTD! This is one place I would totally bring my foreign friends to. Situated within Peranakan tile gallery and Singapore’s first music box museum, you get to enjoy authentic local (Singaporean) food. They also have a huge display of nostalgic kuehs for you to choose from. Oh yes, you need to get their Teh C with Gula Melaka. A life-saver in this sweltering hot weather! The drink is on the sweeter spectrum but I don’t mind having it. Loving the Gula Melaka essence in the coffee. Plus it complements the kuehs really well. Definitely worth recommending to your foreign friends! This is one packed (I mean super-packed) cafe. There is never once I’ve seen it empty or half-filled. Chye Seng Huat has now become one of my go-to place for coffee before I head to work in the morning (my office is at CT Hub). Loving their pastries selection as well which you must always remember to get alongside your coffee! Now, are you tempted? Great place to be during the weekends? I’m sure with the insane crowd during the weekend! Not Plain Jane at all. This is another hidden gem (alert all avid cafe-hoppers residing in Serangoon/or staying along the North-East Line)! Not only is the cafe beautifully-furnished, they also serve really delicate and nice Swiss rolls. My first visit to this cafe has got me really addicted to its cakes. P/s: Great place to take #flatlay too! Haha! I’m a crazy fan of Matcha! This place worth visiting and re-visiting! (NEW) Eleven Strands: Cosy Cafe in Serangoon with Mouth-Watering Italian, French & Asian dishes!